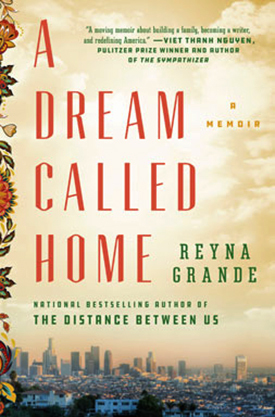 Reyna Grande's new book, "A Dream Called Home," will be published on October 2. Earlier this week, the New York Times published an op-ed by UC Santa Cruz alumna Reyna Grande titled The Impossible Choice My Father Had to Make. The piece was a response to a statement by Ivanka Trump that appeared to blame immigrant parents for the separation of families this summer at the United States-Mexico border. “While Ms. Trump’s father was separating thousands of families through his ‘zero tolerance’ policy, I thought about my own father and the choice he had to make: leave me behind in Mexico or put my life at risk by bringing me to America for a chance at a better future. It was not a decision he made lightly,” said Grande in the New York Times piece. “While she is passing judgment on immigrant parents like my father, her father’s administration is making it harder for families to seek legal entry into the United States by tightening the standards for asylum and legal migration,” Grande added. Now a U.S. citizen, Grande grew up in extreme poverty in rural Mexico. She was only two when her father left Mexico to look for work in the U.S. Her mother followed two years later, leaving Grande behind in Mexico. In 1985, when she was almost 10, Grande crossed the border as an undocumented immigrant. Overcoming the language barrier and her status as an undocumented immigrant in the United States, Grande made the most of her new home, eventually earning a bachelor's degree in creative writing/film & video from UC Santa Cruz in 1999. For her senior project in UCSC's Literature Department, she even wrote the first 80 pages of her debut novel, Across a Hundred Mountains. Grande’s upcoming book, A Dream Called Home, is set to be published on October 2. 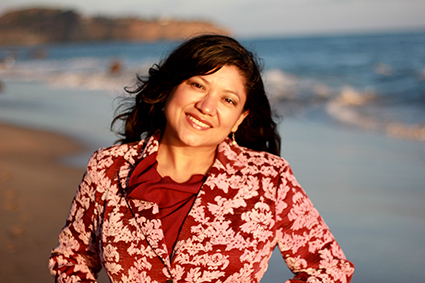 A sequel to The Distance Between Us, her new book begins where her last book left off—at her arrival at UC Santa Cruz, where she began her quest to become the first person in her family to earn a university degree and to become a writer. Grande will celebrate the publication date on October 2 with a book launch in Santa Cruz. She will discuss her new memoir in a conversation with UC Santa Cruz literature professor Micah Perks, beginning at 7 p.m. at the Peace United Church (900 High Street). Presented by Bookshop Santa Cruz and The Humanities Institute at UC Santa Cruz, the event is free and open to the public. Free copies of the new book will also be available to the first 50 students (with student ID) at the door.